Need a comfortable and convenient way to edit your documents or write messages? Take a look at myType, the pocketable Bluetooth keyboard may be a nice solution. The myType is a portable Bluetooth wireless keyboard designed to offer you a comfortable typing experience for your smartphone or tablet. As we can see from the images, the wireless keyboard features foldable, flexible design for portability, and all keys are designed and spaced for touch typing, moreover, unlike most portable keyboards the myType Bluetooth keyboard is functionally similar to the layout of most desktop and laptop keyboards for more comfortable typing experience. Apart from that, the portable keyboard is splash resistant, and its built-in battery offers weeks of normal use. At present the inventor of myType is raising fund at Kickstarter. 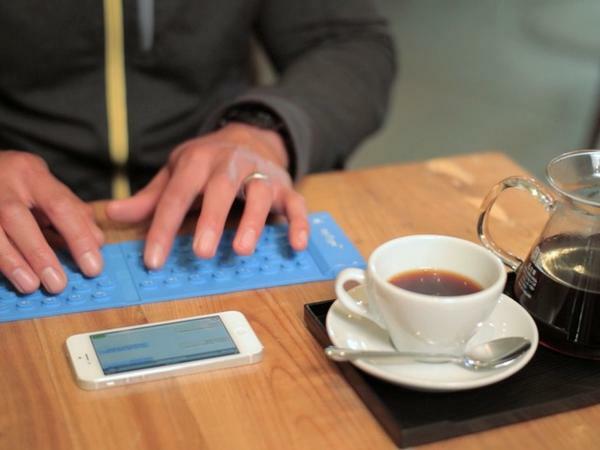 Pledging $49 will let you own the portable Bluetooth keyboard. If you’re interested, jump to Kickstarter official site for more details or check out the following demo video first.